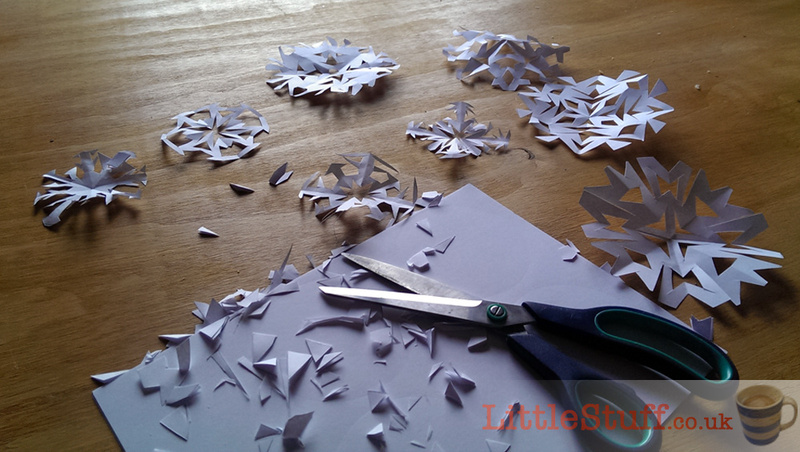 1 – Create your snowflakes – I used four tea-plate-sized, and four mug-sized circles. 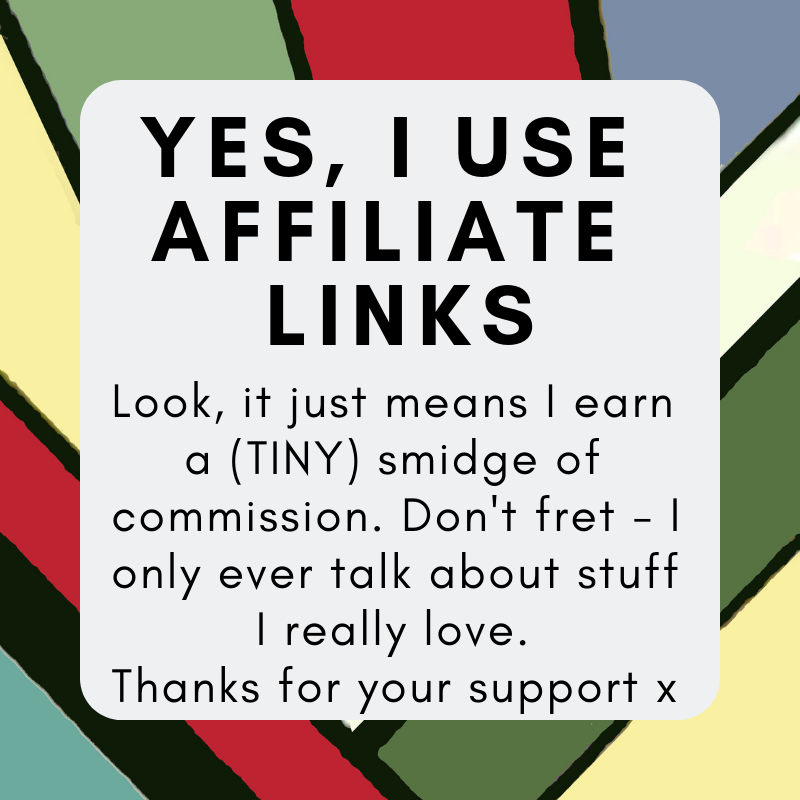 Go wild with your snipping! 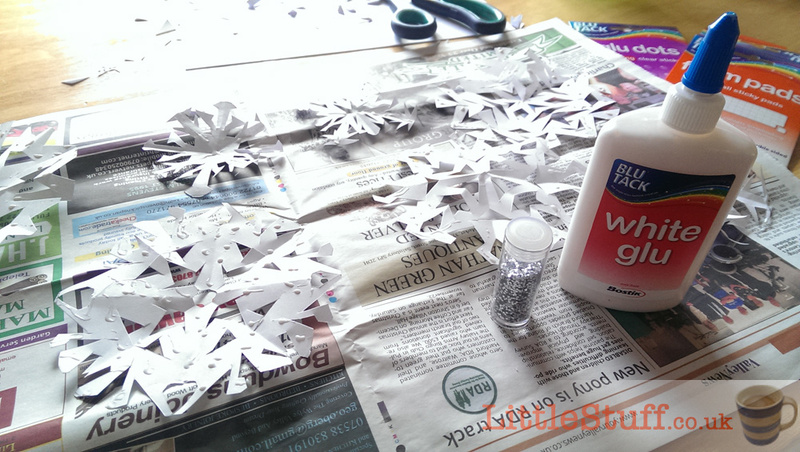 2 – Lay out some newspaper, spread out your snowflakes on it and then ‘paint’ them with glue (the easy White Glue from Bostik is brill for this – you can pretty much paint with it. 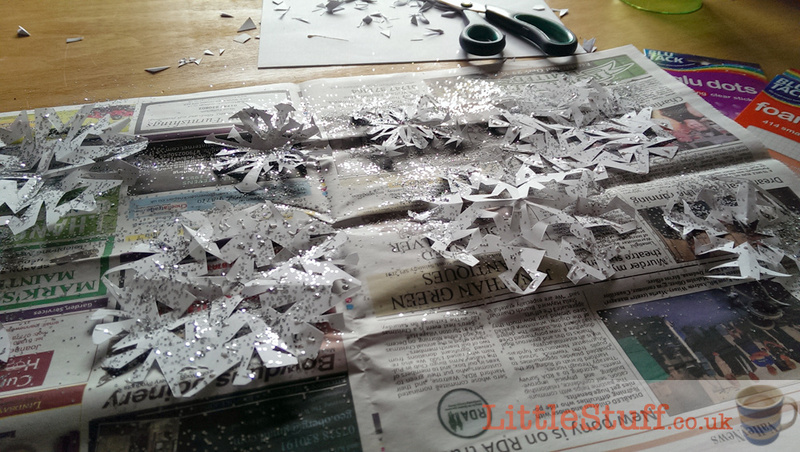 As much glitter as you like – paint them all over with a paintbrush if you like; I decorated tips and lines for a subtle sparkle. 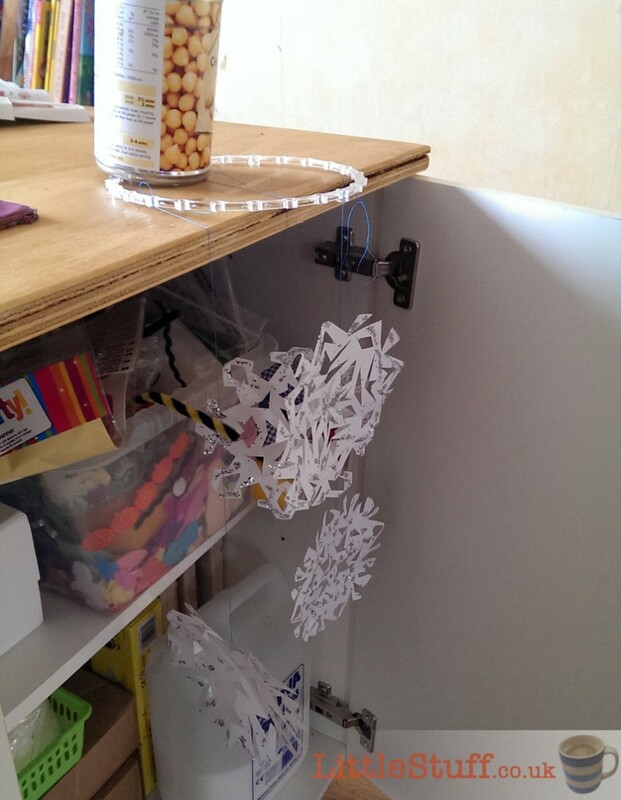 4 – I used foam pads to attach lengths of thread to each snowflake – it sticks well and is far simpler than trying to use tape, and quicker than waiting for white glue to dry. 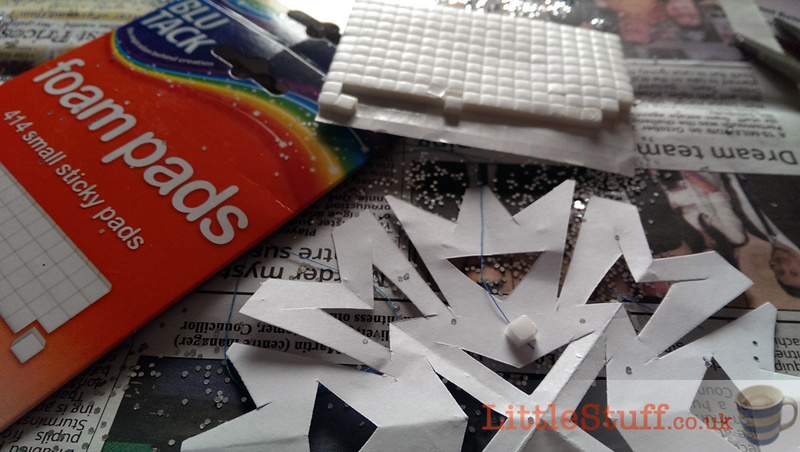 5 – Tie the snowflakes to your circle – I found the easiest way was to balance the circle off the edge of the surface, holding it in place with a can! 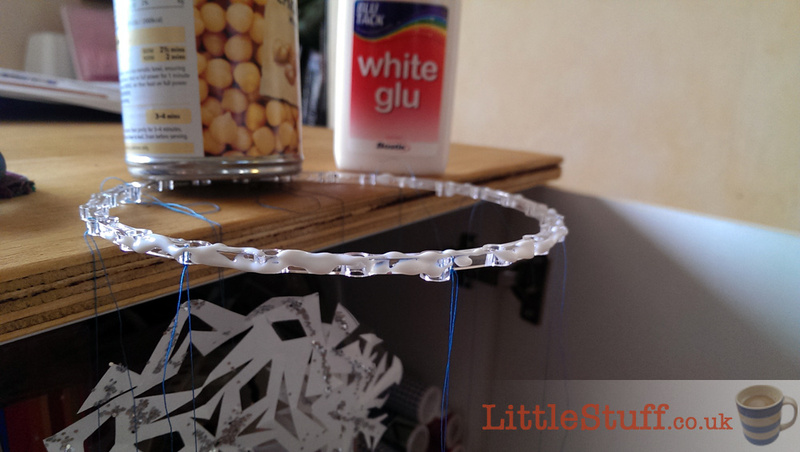 6 – Glue all the way round the edge of the circle – use the white glu again for this, it makes life so simple. 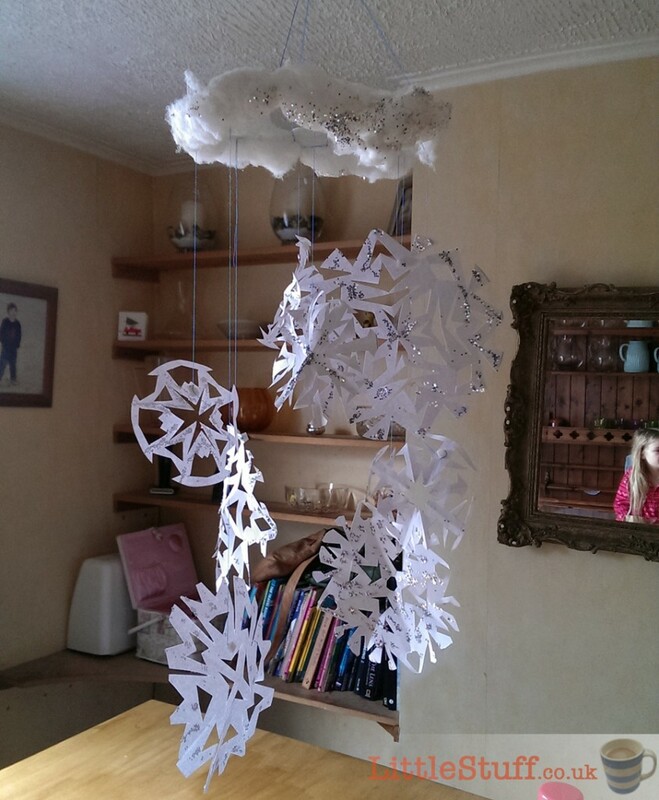 You’re going to add pulls of cotton wool to the glue – I found it easiest to add the cotton wool here before I turned the circle to glue the other side.